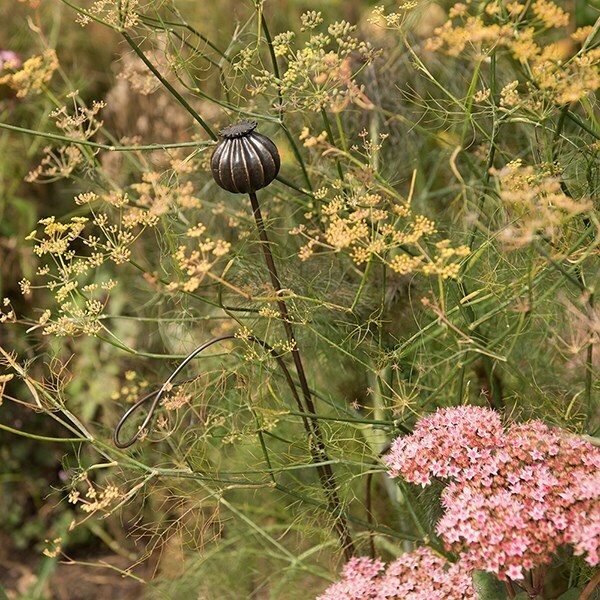 Support growing plants and add year-round interest to beds, borders and pots with these sculptural poppy seed head stakes. Includes two wire loops to support surrounding stems. Also useful for marking bulbs and dormant plants to prevent unearthing. 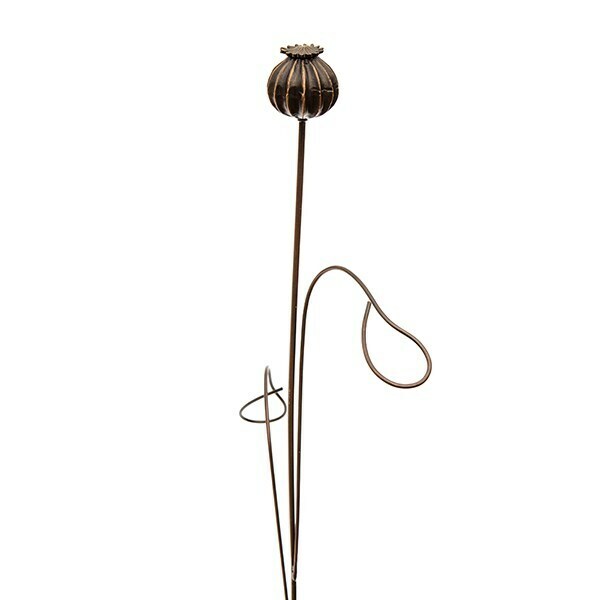 Made from steel and cast aluminium with a choice of antique brass or antique pewter finishes. In damp conditions, natural salts may leach out of the cast aluminium to produce a frosted appearance. To treat, wash and brush with a nail brush, dry off well and rub down with an oily cloth, or alternatively leave for a natural aged effect. Please note: these individually handmade and finished stakes may include some sharp points or edges. Take care when unpacking and assembling them and position in a quiet spot off the beaten track. When pushing the stake into the ground, hold the lower part of the stem and push. Do not put all your weight on the flower head.